Your hair is your crown and sometimes that crown needs to take a deep dive into a pool of color. Will it come out silver, pastel pink, lavender, blue, sea foam green or a blend? Whatever color you choose, you should be prepared before you head into the salon. Fashion colors are notoriously hard to upkeep but new technologies are coming out everyday to improve that. We've listed multiple options for you below. It will typically take 1-2 sessions. The lightening process can cause the most damage to your hair so we never want to rush it. 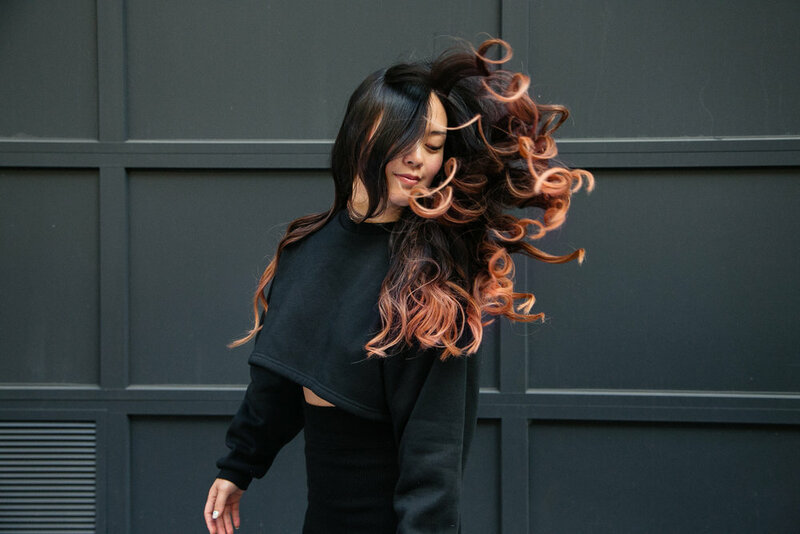 If your hair needs to be further TONED (depositing color) we will have you come in for a complimentary 2nd session within the first week of service. If your hair needs to be further LIGHTENED (lifting color) we will need to charge you for a 2nd session at full price. Pricing is based on each round of services, not the total look, and while we try out best, it's not always predictable how many sessions it will take to achieve a look. Your stylist will discuss the process with you and if a second service is needed, what the price will be. Disclaimer: It might sound like a lot of money to spend a nearly or over thousand dollars to achieve a look however it takes a lot of time, energy, and expertise that goes into doing a chroma color, and the pricing is actually lower that the amount a stylist will make doing a regular highlight. Our goal is to make chroma color pricing attainable for our clients, while making sense for us as a business. Thank you for understanding. How long does a Chroma Service take? A Chroma Service can run anywhere from 5- 8 hours, occasionally takes 9 hours. Bring snacks, dinner, a book, your computer, or whatever you feel you need. Also, expect to be switching chairs, so be mobile. There is both iPhone and Samsung recharging plugs available at the salon. How long does a color last? The more you shampoo your hair the faster the color will fall out, and keep that hair moisturized! We highly recommend a great leave-in conditioner. We carry diamond serum, kendi oil, okara leave in and solarie leave in. Use Olaplex once a week. It is a game changer when it comes to having healthy strands. We also recommend a toner every 6-8 weeks. However, you can choose to skip the toner and stay blond or choose a completely different color. Viral Shampoo ($35) Maintain your color at home at an affordable price. Karinga ultimate hydrating mask ($35) Masks are essential and we love how healthy and hydrated this makes us feel.